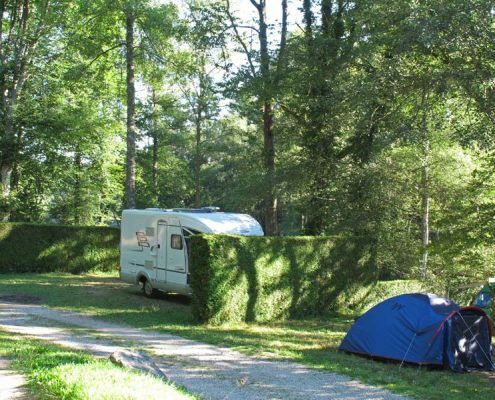 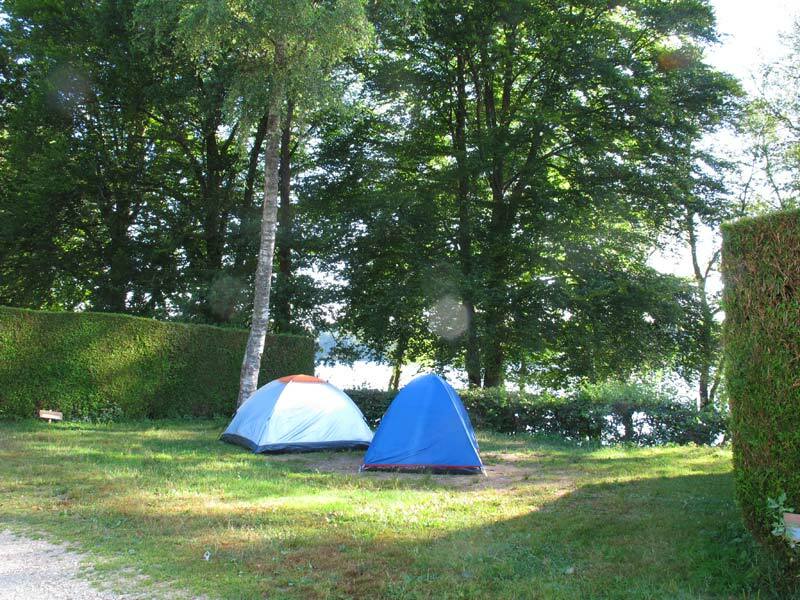 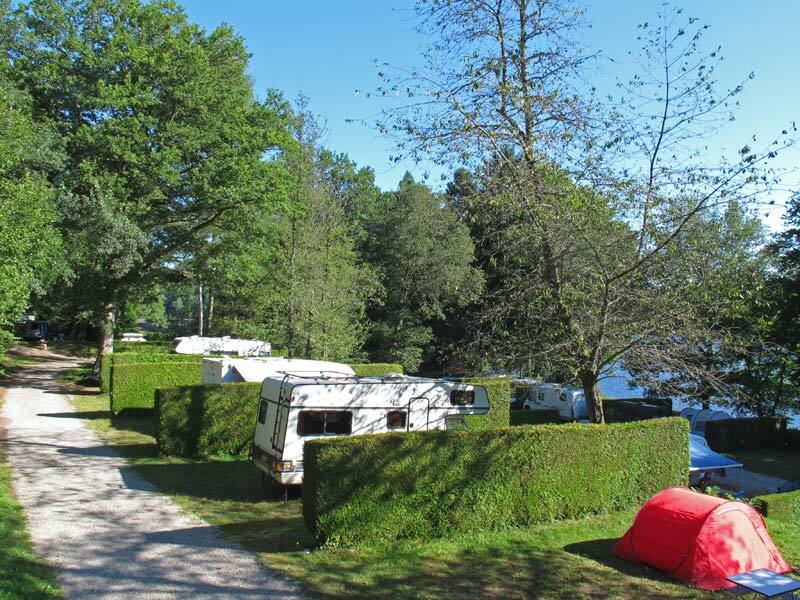 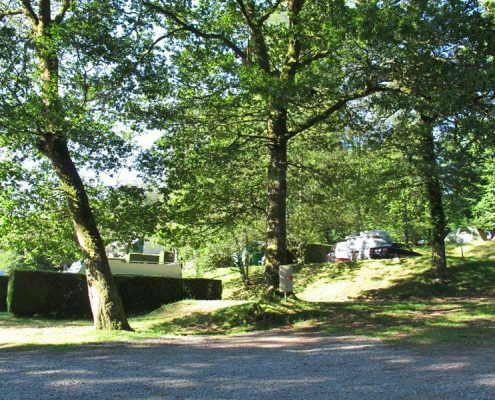 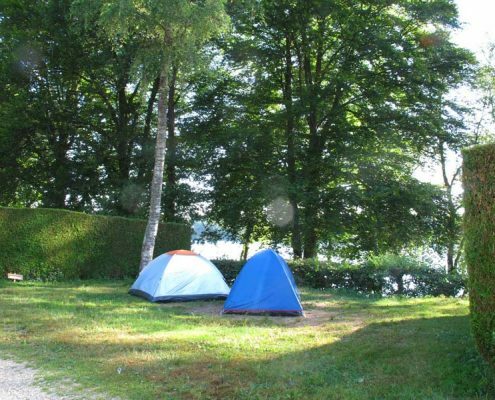 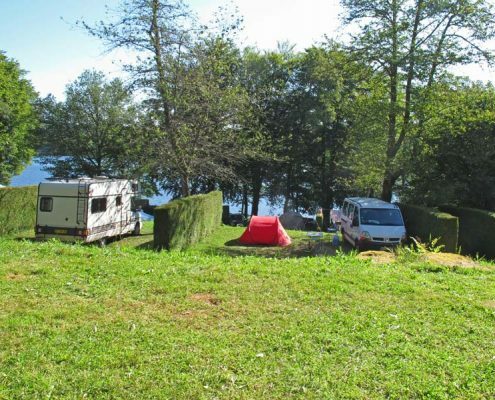 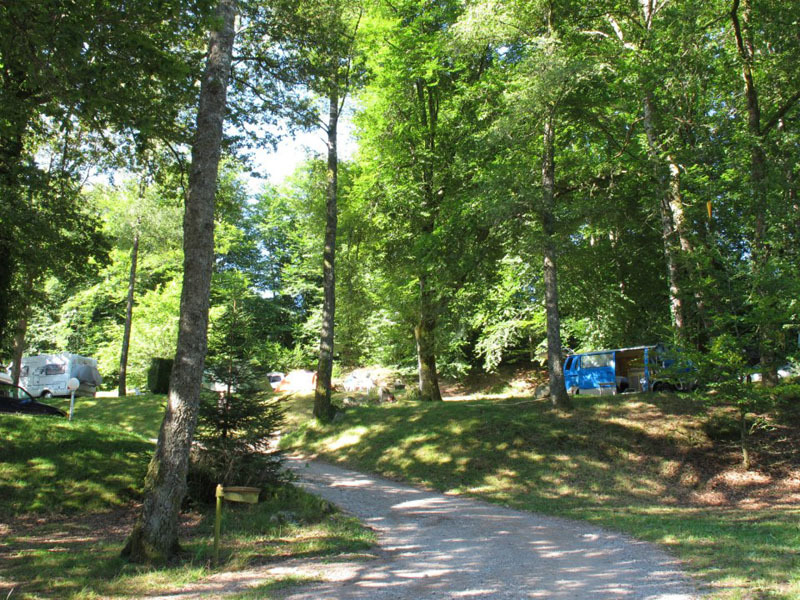 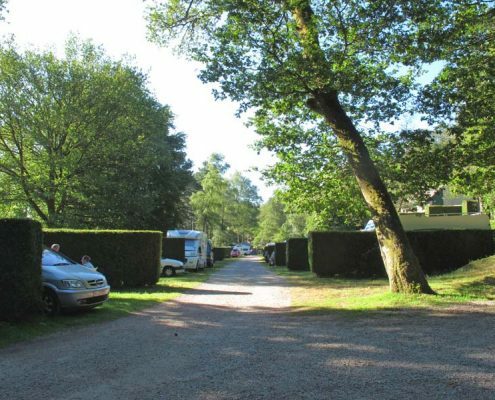 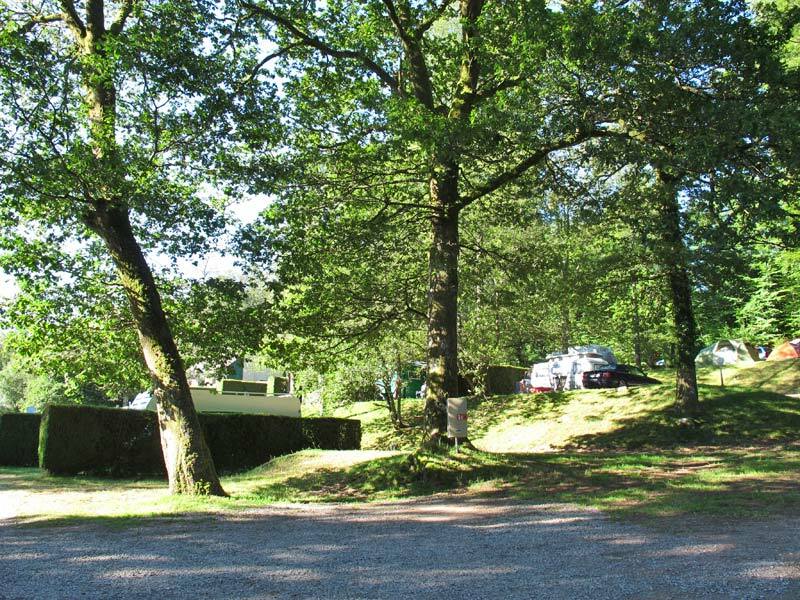 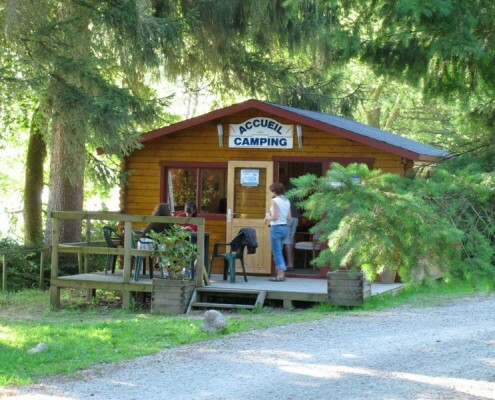 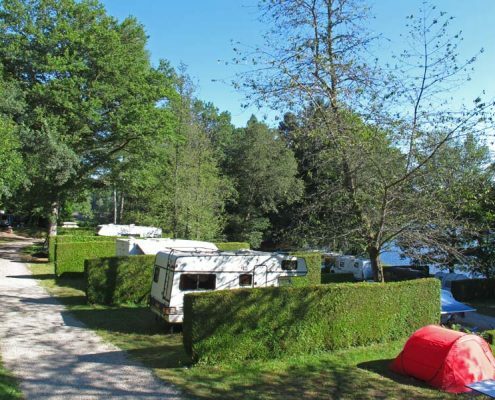 Our campsite is everything you imagine a French campsite in the heart of the beautiful French countryside to be. 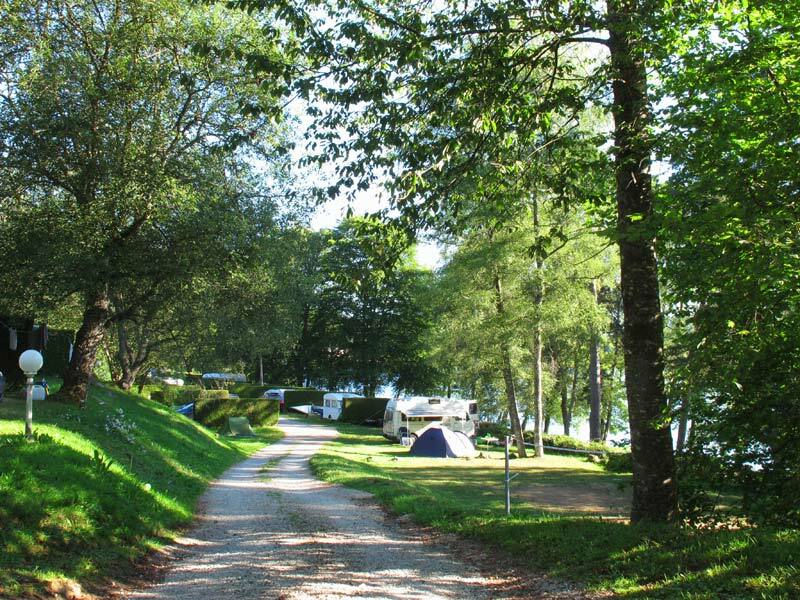 Natural but well maintained, peaceful, relaxed and with the most spectacular lakeside scenery – you won’t be disappointed. 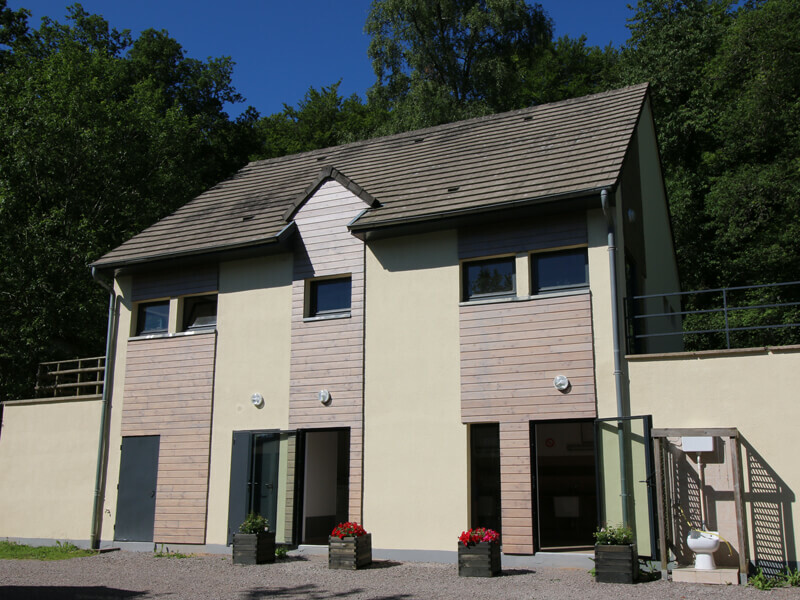 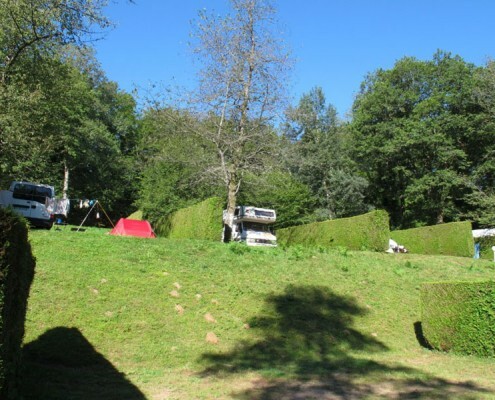 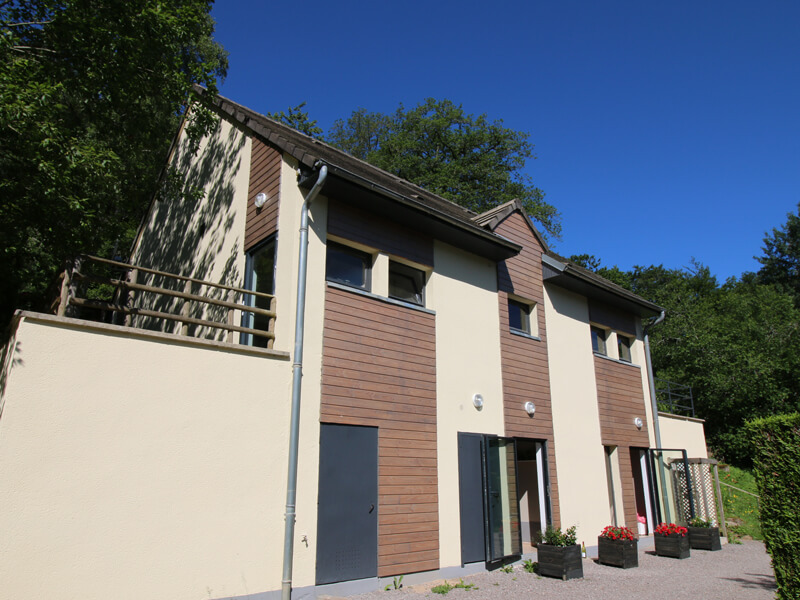 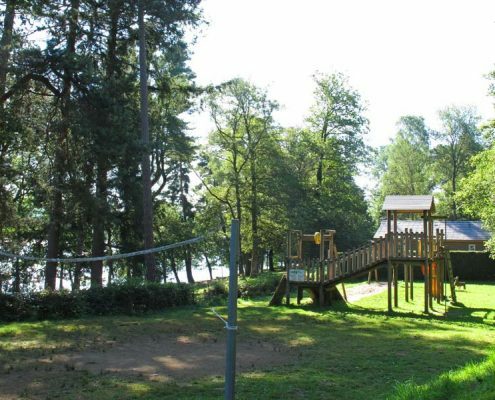 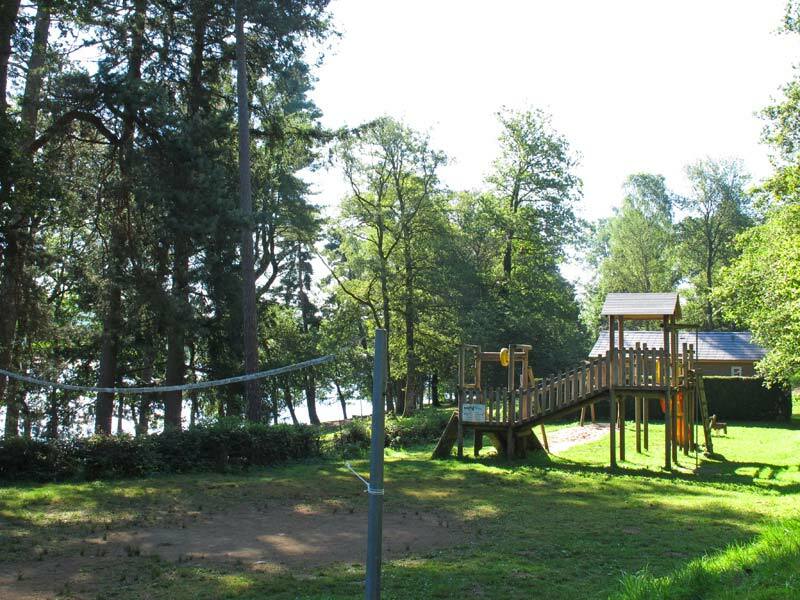 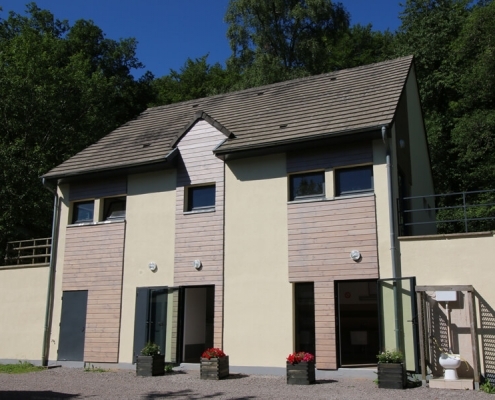 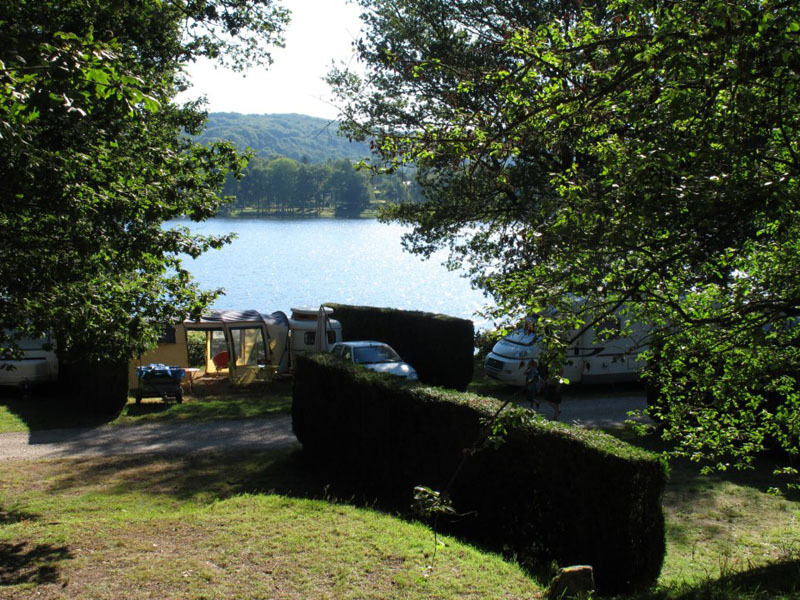 Our guests return again and again to experience the tranquil atmosphere of our campsite and appreciate the breath-taking views of the Burgundy countryside and the Morvan at its best. 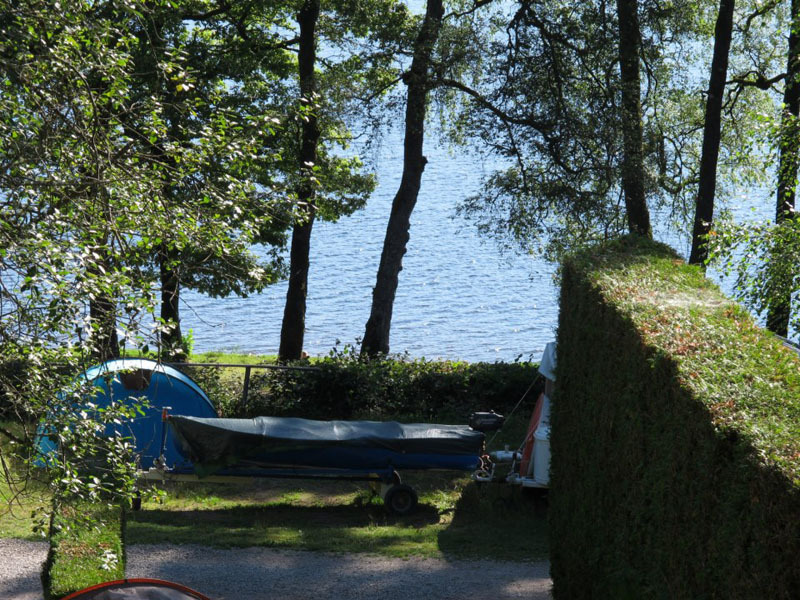 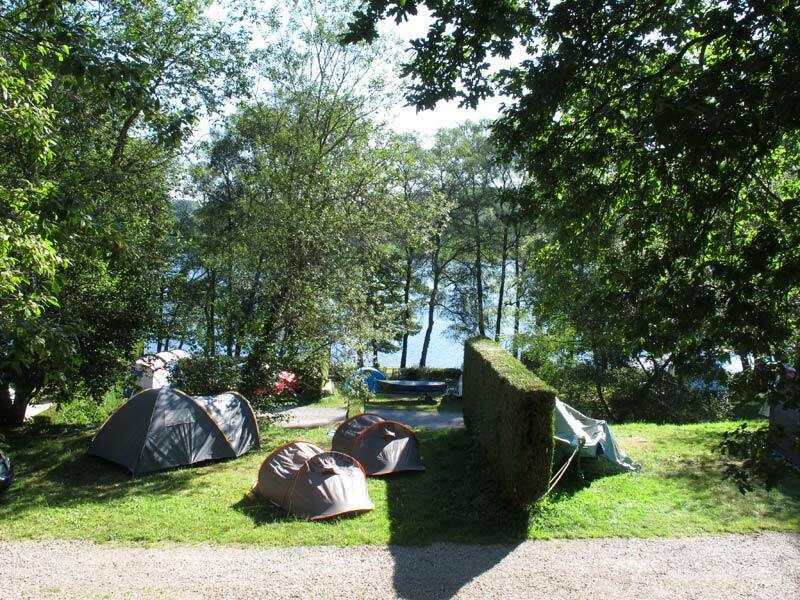 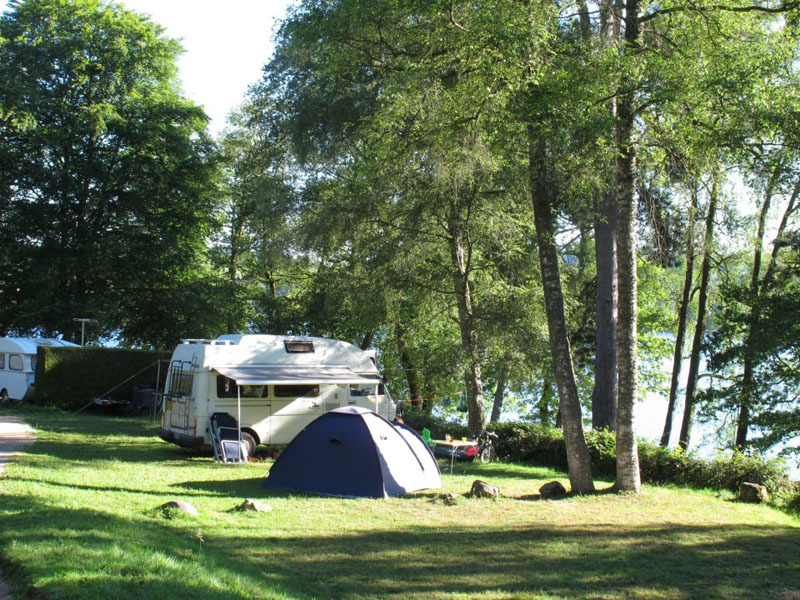 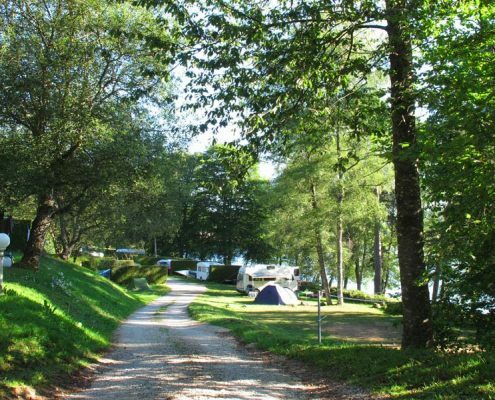 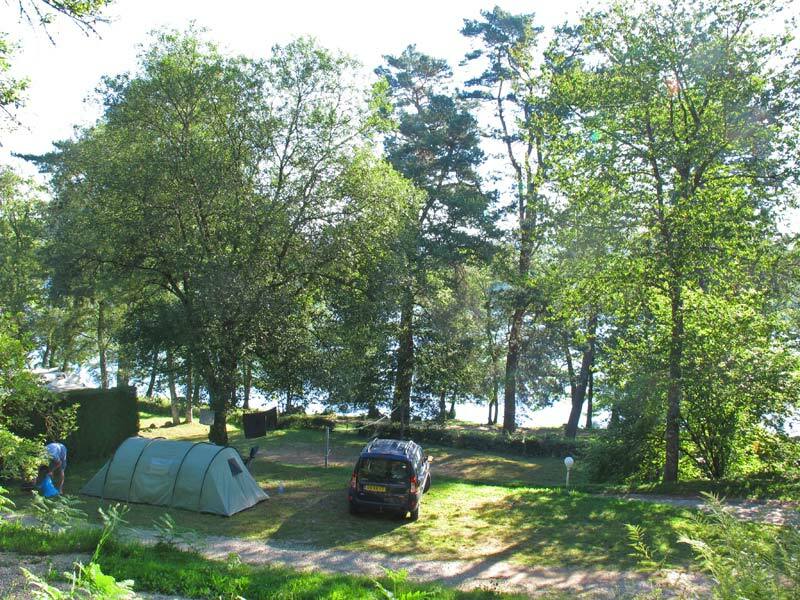 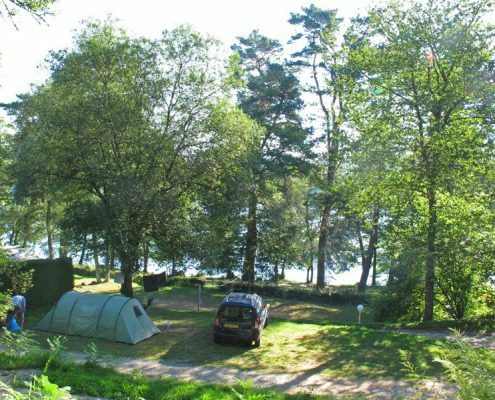 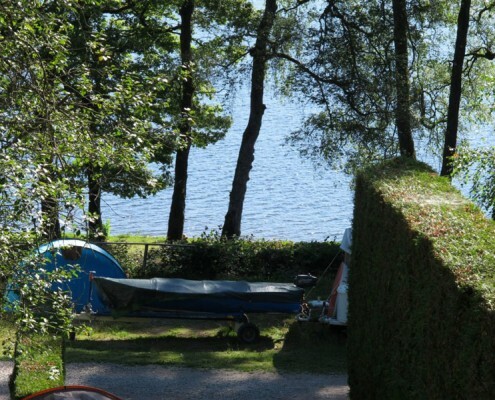 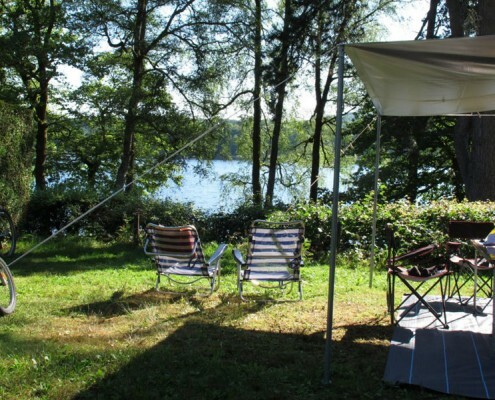 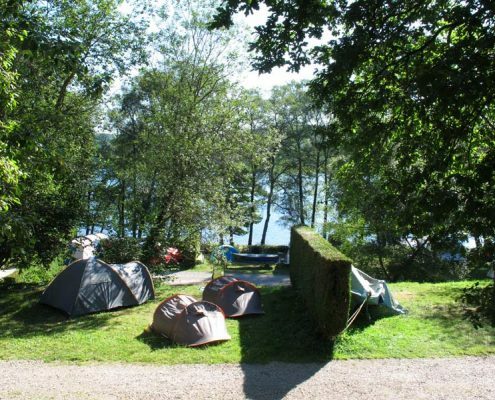 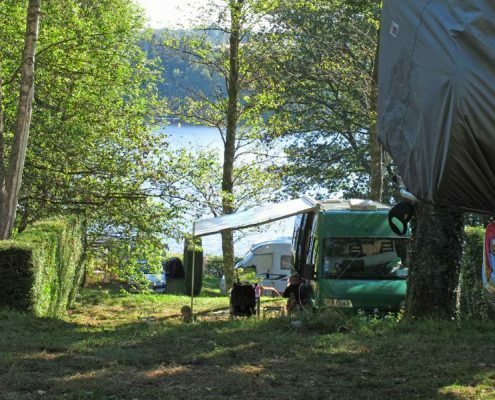 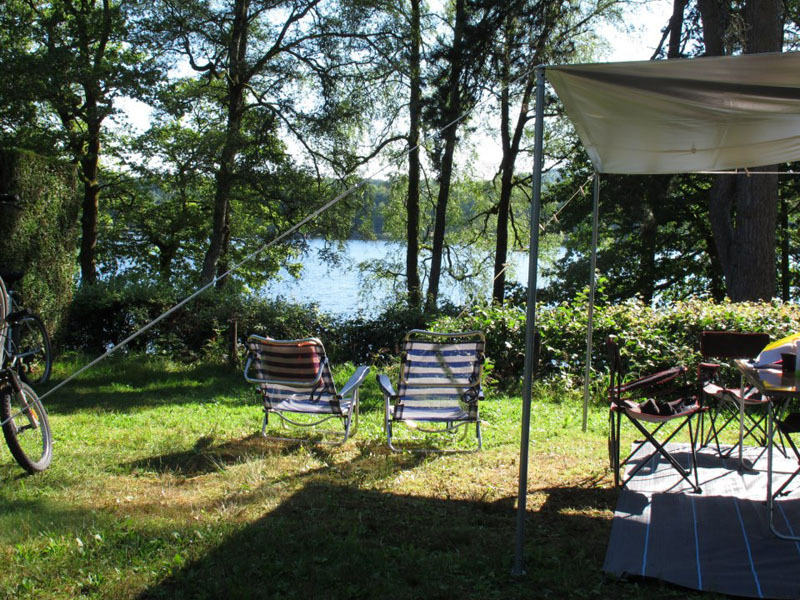 The position of our campsite, right on the edge of France’s famous Lac des Settons, is enviable. 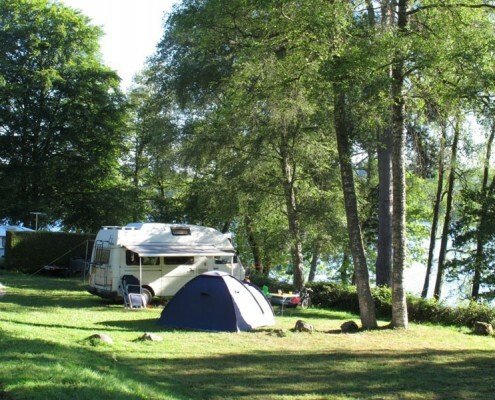 Wherever you choose to pitch your motorhome, caravan or tent, you’re guaranteed a beautiful view of the lake and direct access to the water’s edge. 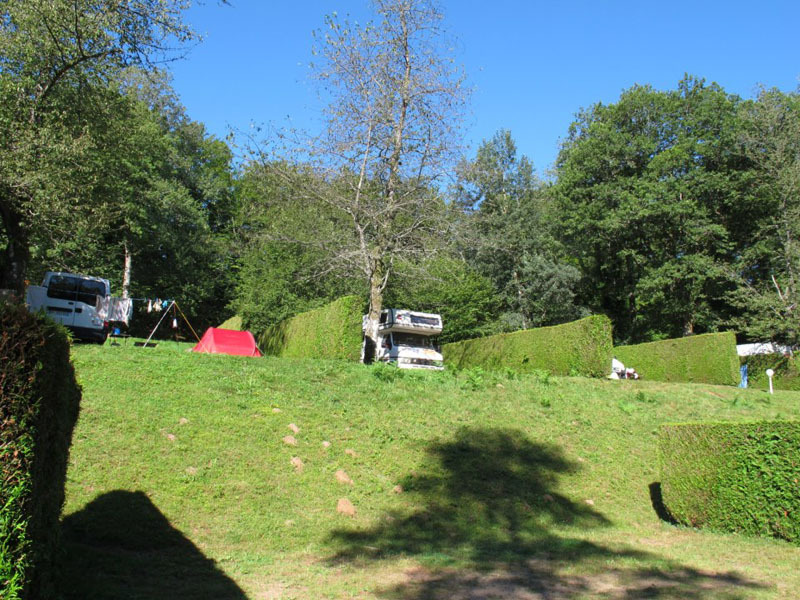 Our generously sized pitches are separated from each other by well-tended hedges which provide substantial private space for you to spread out and relax. 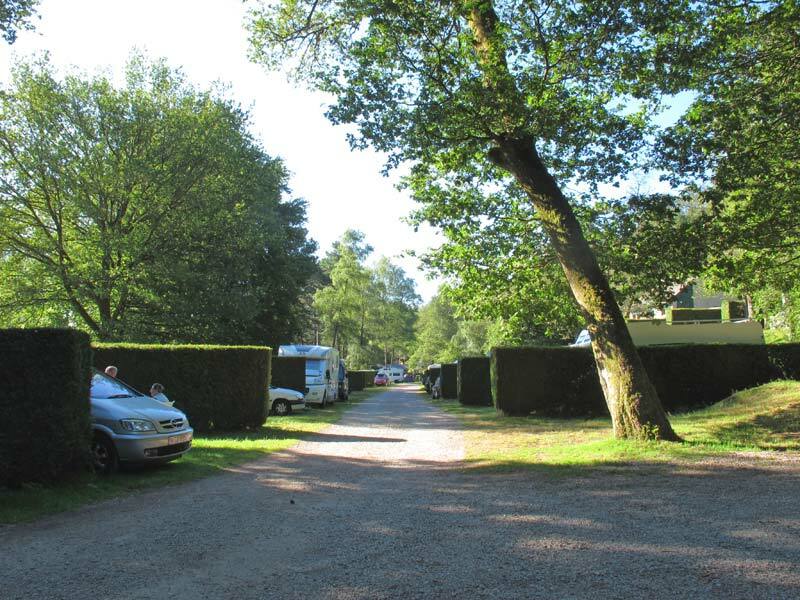 We offer a choice of shaded or unshaded pitches (some with a bit of both! 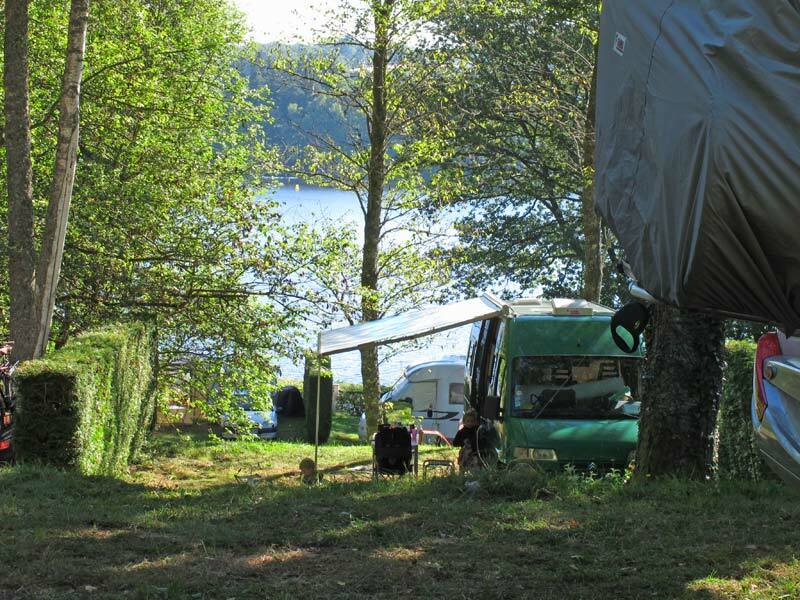 ), with a number of pitches built on reinforced ground, making them suitable for motorhomes and caravans in all weathers. 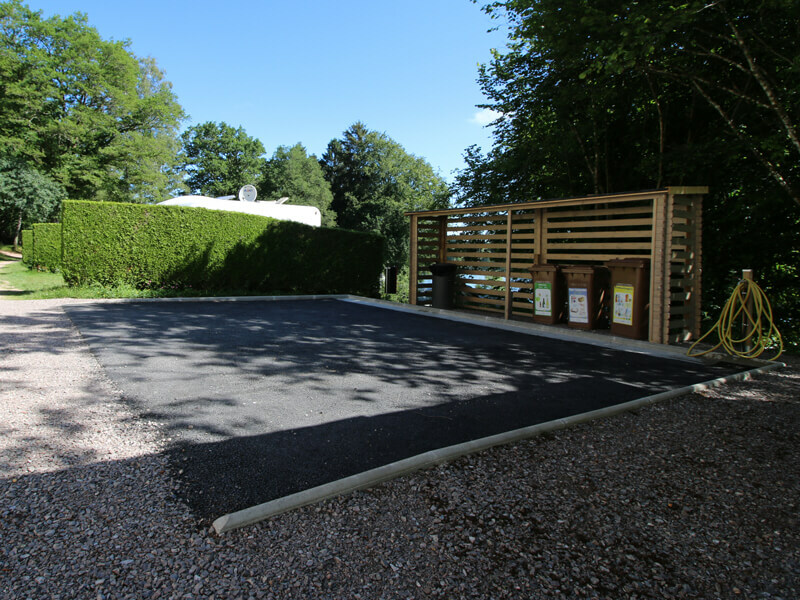 Our toilet and shower blocks are cleaned thoroughly twice a day – we’re fastidious about cleanliness. 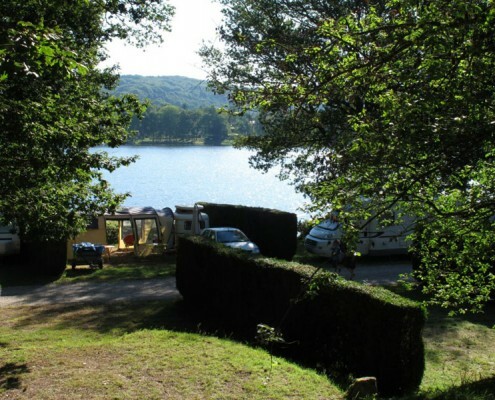 You’ll also be pleased to know that there’s always plenty of hot water so you’ll never run out in the middle of a shower! 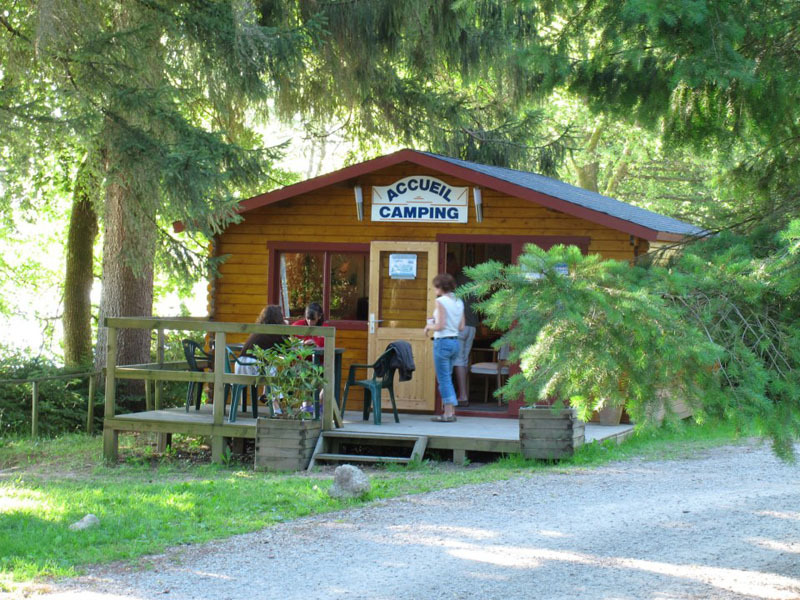 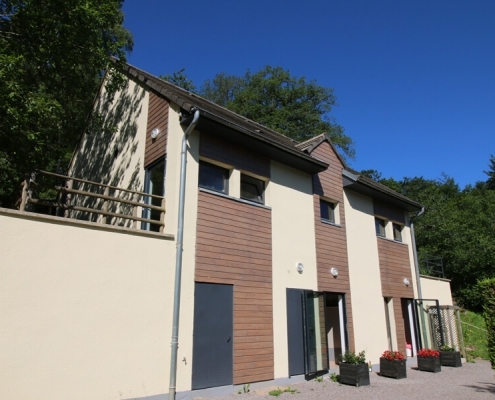 For those with reduced mobility, accessible facilities are available. 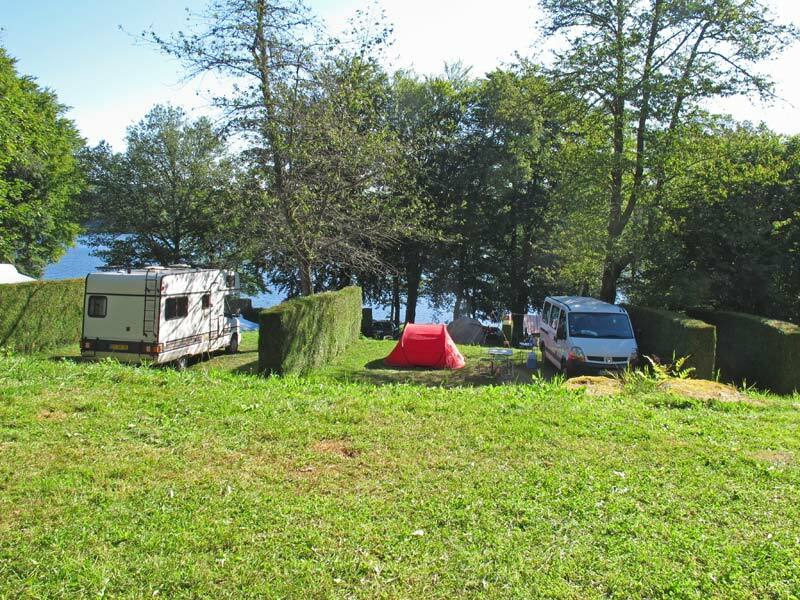 We also have a TV room at the disposal of our campsite guests. 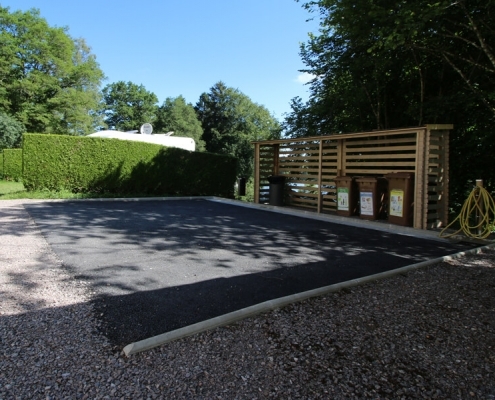 We also provide dishwashing and launderette facilities and 3 to 10 amp electricity. 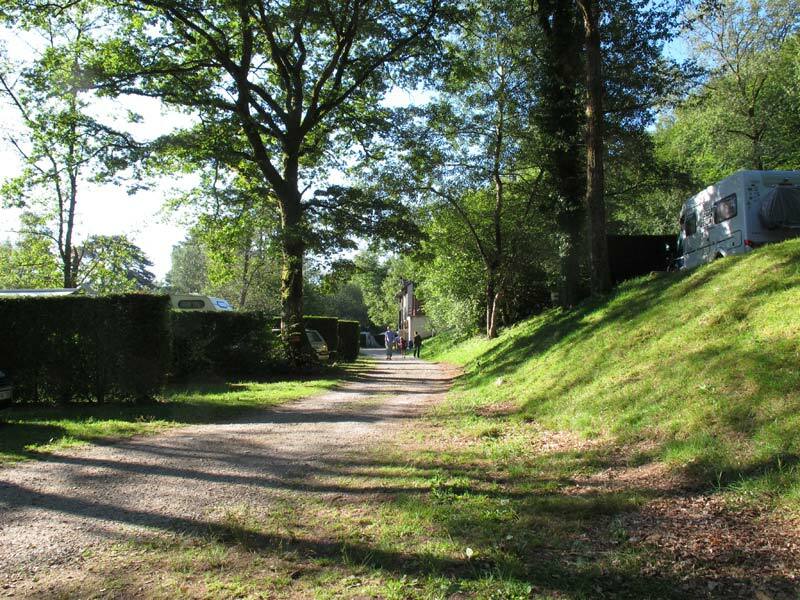 In the summer we have fresh bread delivered daily for our guests and you will find a selection of cold drinks available from reception. 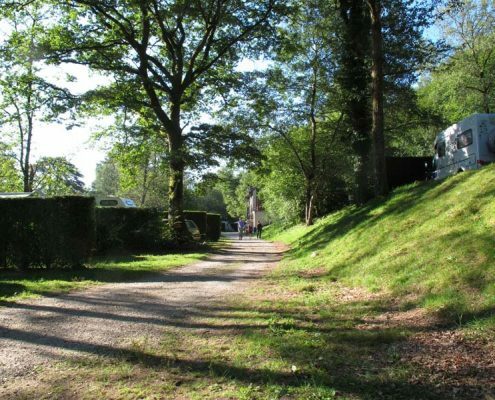 It’s just a short 10 minutes walk to the local shop for your other grocery needs. 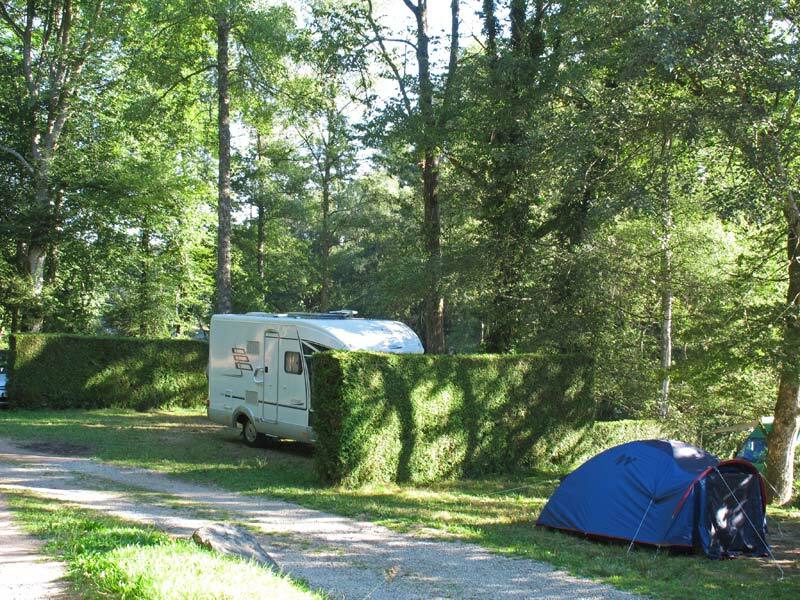 The French campsite owner, who lives on site, speaks very good English, so in the event of any questions he’s there to help.